First, you’ll notice an out-of-the-box email references the “Open this task” button, but does not include the link to the SharePoint workflow task. This is fine if the document is a Microsoft Office document and the person approving it is using Office 2010, but there doesn’t work for other circumstances. 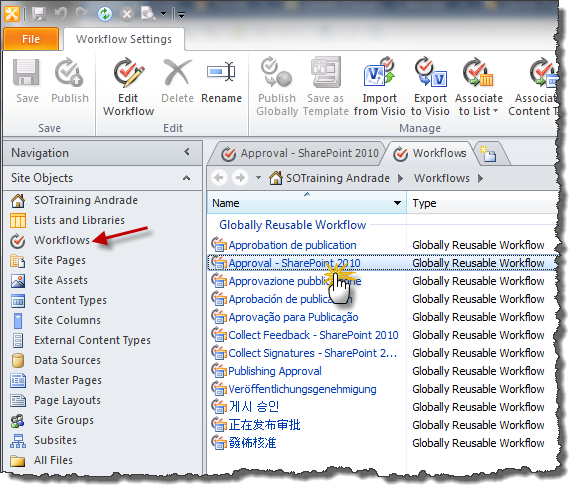 To adjust this, we need to open up the site and then workflow in SharePoint Designer. Note that in this case we are modifying the OOTB workflow itself, which will change it for all instances of the site collection. If you want to make a unique instance of this workflow, right click on the workflow and choose “Copy and Modify”. 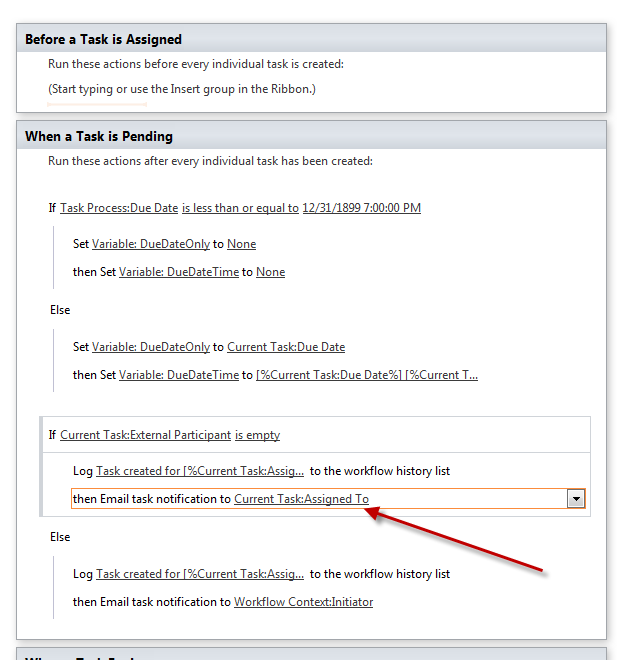 Under “Customization” click Change the behavior of a single task. 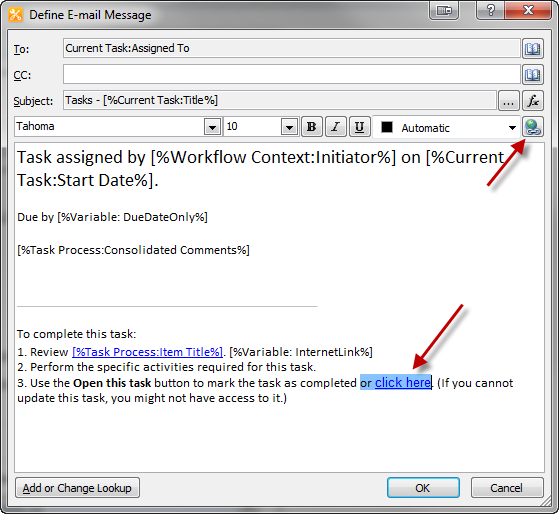 Under the “When a Task is Pending” section, find the line that says “then Email task notification to Current Task:Assigned To” and click the underlined link. 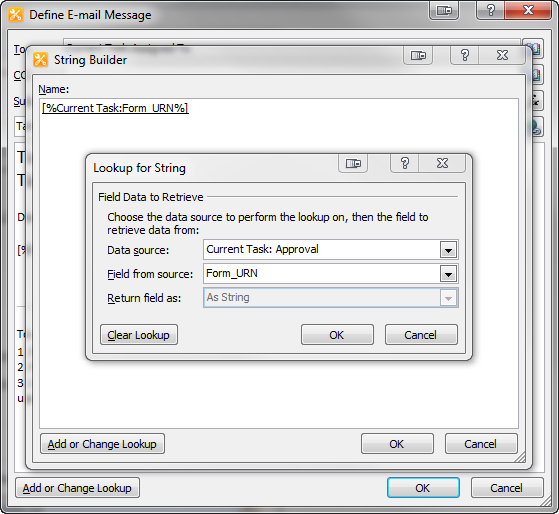 The Define E-Mail Message window opens. Insert the highlighted text, select the text you wish to make a link, then click the Edit Hyperlink button. Click OK all the way back out of the dialog boxes, then Publish your workflow back to the server. Start the workflow on a new document and you should get the modified email. Click the link and it should take you directly to the task page! It’s important to note that this is not the only location an email is defined. Overdue notices, for example, are defined elsewhere. You may need to make the same modification to multiple places in the workflow.